Aikatsu! – 114 | Mezashite! 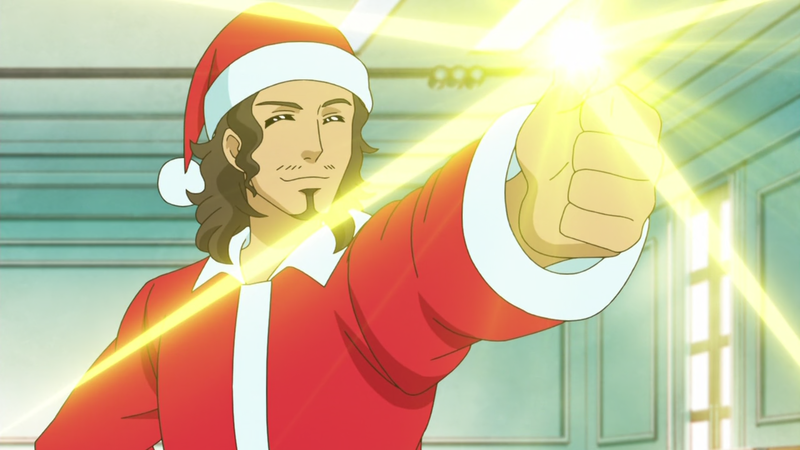 You should take this opportunity to rewatch the other episodes too for a triple dose of idol Christmas. Next episode looks like it’s going to be amazing. In addition, interoperability with the widest range of feed readers could be improved by implementing the following recommendations. Took your tip and watched all three Christmas episodes in order last night, that was fun! I can definitely see examples of “Kids, don’t try this at home” in all three (including diving feet-first into a cake). Where does Sumire-chan keep that book? Do Loli-Gothic girls have Batman… err… Aikatsu utility belts? Did they flash that info on the episode? I just rewatched it and I didn’t see it. The action starts right about 3:00 into the video.